At the end of a summer rich in events on Samuel Beckett, scattered largely between Dublin, Belfast and Enniskillen, academic research was encouraged in October with the publication by Cambridge University Press of the third volume of the writer’s correspondence. 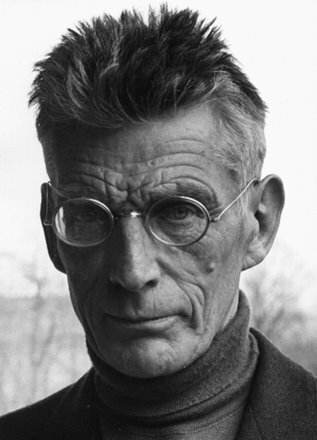 As in the previous volumes, Beckett’s statements about his own work, as well as the many intertextual references expanded on in the dense notes appended by the editors, demonstrate the scholarly value of the publication, which will become a primary resource especially for young researchers with no opportunity to explore public archives and private collections on both sides of the Atlantic. It is Beckett’s mocking depiction of intellectual life, however, rather than the crowded web of literary and artistic influences, that strikes the general reader and ensures that the letters are an enjoyable, rather than purely informative reading experience: “On m’a demandé un livret d’opéra bouffe! J’ai écrit une ligne – ‘J’ai pas envie de chanter ce soir’ – puis j’ai renoncé.” (“I have been asked for a libretto for a comic opera! I wrote one line: ‘I don’t feel like singing tonight’. Then I gave up.” SB to Jacoba Van Velde, 12.04.1958; in LSB III, 130-131). This trenchant tongue doesn’t appear to spare Beckett himself. In the same letter he declares, exhausted: “Il y a deux moments qui valent la peine, dans le travail, celui de la mise en route et celui de la mise en corbeille” (“There are two worthwhile moments in my work: the opening up and the basketing”; ibid.). This is just one of the many accounts of Beckett’s distress when facing the creation of new work, something that continues to spring at the author from the white page itself even during the years of his belated success.